New Series of Free Roadmap Training Videos describes the first in a series of free training videos for authors considering self-publishing. 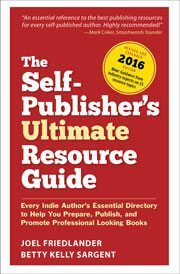 New: Self-Publisher’s Quick & Easy Guides Announcement. The first two Guides, on Copyright and ISBNs and Barcodes, are available now.